Some people love it, some people hate it but, like it or not, sometimes they’re necessary. In modern times, they’re much easier then they used to be. No more having to send a telegram or trying to send a letter via pigeon, we have new technology that allows us to Skype, text, snapchat, call, and I even saw an ad online for a device which is supposed to let you feel your lovers kiss (although that seems like some Black Mirror shiz to me). But, even with all of this new technology, long distance relationships can be really hard. I’ve been there before, and this Summer Zack’s going to be further away then ever and for longer than ever, and I’m a little scared. So, here’s 5 things that can make the distance a little easier. And by this, I don’t mean constant texting all day every day; in fact, the very opposite. When you’re constantly texting someone and trying to live your day, the conversation can become a bit dry and, because you both have other things going on, you may find that you aren’t really paying attention to the conversation. Instead, I much prefer to put aside an hour or so in the evening to give that special person the attention they deserve. I think you’ll find that you actually have a much nicer and in-depth conversation as you have the time for each other, rather than trying to rush it and fit it in throughout the day! This doesn’t have to just be for long-distance relationships. Paperless Post lets you send beautiful and modern e-cards to anyone, wherever they are on the globe, providing that they have an email address. The site is super easy to use and has the cutest designs- I had the most fun trying them all out for this post! 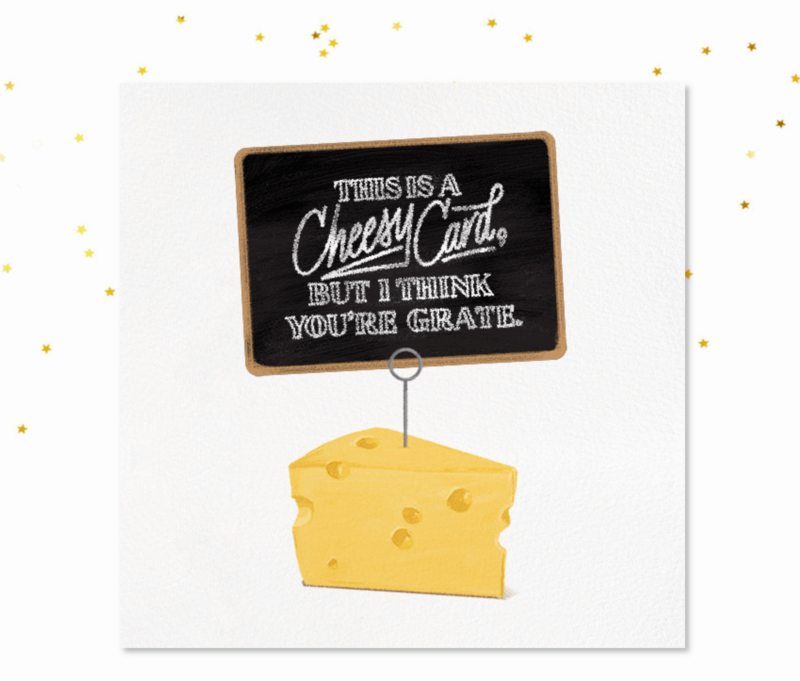 It’s the perfect way to send an instant message that is much more special than a text. When Zack goes away, I’m definitely planning on sending him some of these cards to cheer him up! When you click to open the card on the email, it unveils itself in a beautiful little sequence that is truly special. 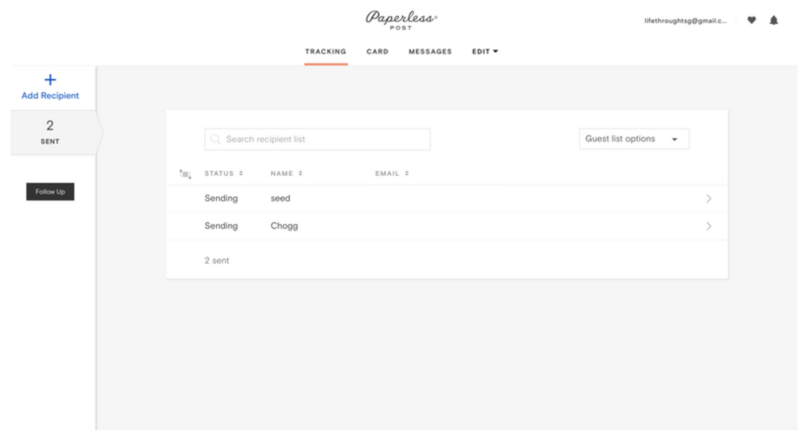 It also gives you the option to create a reply card to reply to the card you were sent, and to see the status of your sent cards, which is so handy! 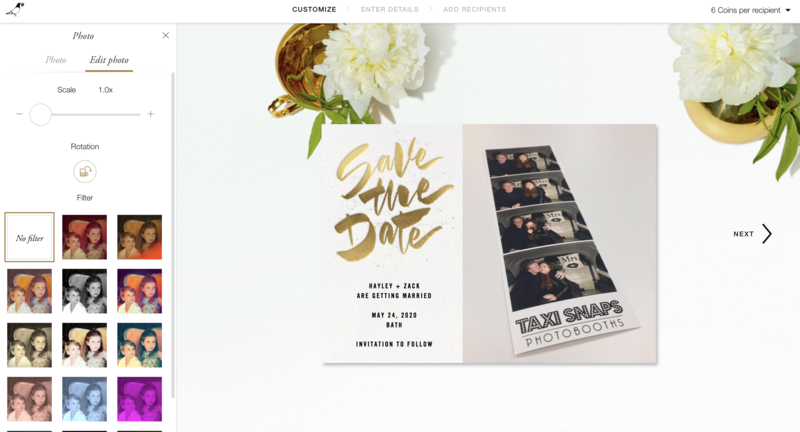 You can even create wedding invites and save the dates on this site; perfect for if you have long-distance guests to invite! I am so glad that this company contacted me, as I think it’s such a lovely and unique idea! I have tried to send e-cards online before, but have often found their sites clunky and awkward, and their cards out of date; so Paperless Post is a truly unique idea perfect for any LDR! And make plans for your time together! Okay, it might not always be possible to definitely know when you’re going to see each other next, but having a timeframe in mind gives you something to look forward to and definitely helps the time pass by quicker! Little surprises can really perk up the hard times in an LDR. The first time that Zack went away, he left me a letter for each week that he was gone. I had strict instructions to open them on Friday each week, and I can’t tell you how much they perked me up before each weekend! Little, thoughtful gestures like this (and like Paperless Post that I mentioned above!) can really help when you’re feeling a little down and missing your other half. Even just an old fashioned letter or surprise care-package can mean a lot! Have you ever been long-distance? What did you find helped you through the harder times? I’d love to know in the comments! *Paperless Post gifted me coins to use on their site in exchange for review, but all opinions are my own. For more information, please see my Disclaimer. My partner and I are currently long distance and this website is super cute! Glad to hear you have little things in place for long distance. The letters for each week is such a cute idea! Next Post Wedding Guest Outfits; The Nightmare Of All Nightmares!